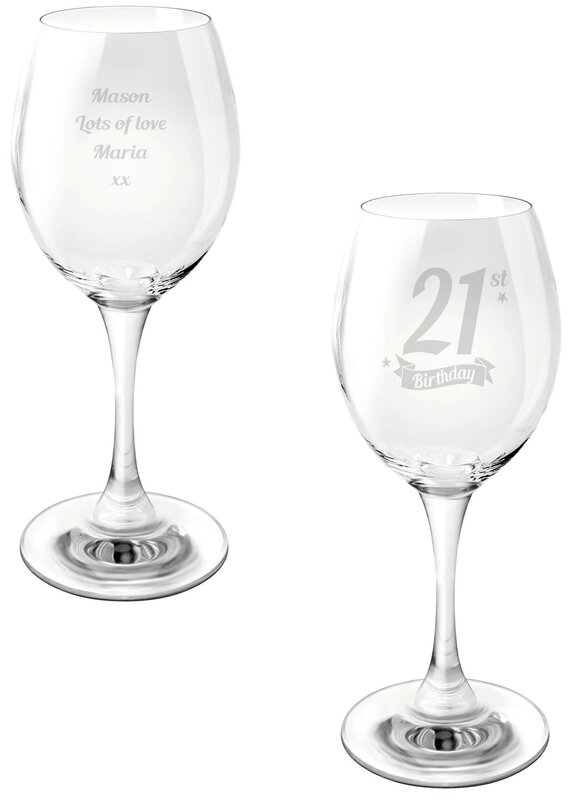 Their age is added to the banner design and your message is engraved on the reverse, whether it's for a daughter's 18th, a friend's 21st or Dad's 50th, this glass will be cherished long after the event is over and will be a lasting reminder of your sentiment. Balloons, cake and a bottle of wine help to make the perfect Birthday party. Put the cherry on the cake with this bespoke wine glass for the Birthday boy/girl. Whether you toast with red, white, or rosé, Chilli and Bubble will be there for the occasion on this high quality glass.